HomeCooked’s March menu is back with delicious favorites. 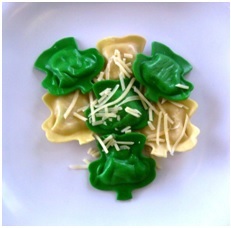 St. Patrick’s Day is coming, so that means that Shamrock Ravioli is back on the March Menu! HomeCooked is here to help relieve your stress around meal times as spring sports start, NCAA basketball heats up, and when life just continues to be busy in general. Consider taking one of their meals with you on spring break–their meals have traveled as far as Maine, Iowa, Florida and Bermuda! Your Favorite Dishes are Back, With Some New Ones in the Mix! Thai Coconut Curry Chicken and Shrimp (this year with Organic and Light coconut milk!). 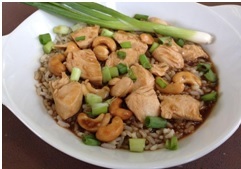 Cashew Chicken and NEW Lime Zested Chicken, Flounder or Salmon over our red quinoa, veggie and brown rice mix. March is a great month for some healthy and delicious dishes that are all easy! No slicing/dicing required. 17 items can be gluten free. Click here to view the complete menu and place your order with HomeCooked!